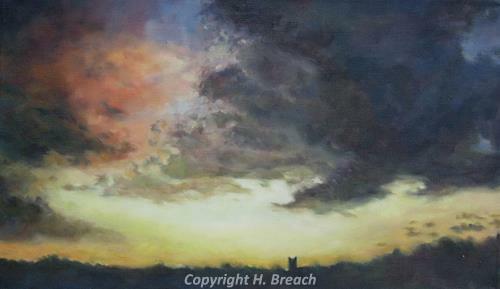 One of the most incredible skies ever seen over Castle Acre inspired these two canvases. The brilliant orange sky preceded a ferocious storm. I ran to the meadows to take a couple of photos before a deluge of torrential rain. These pictures were from memory and photos. 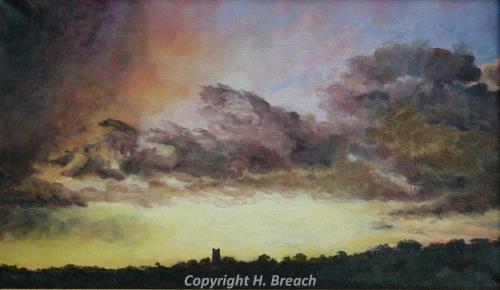 Helen Breach has also contributed work inspired by the motte and the bailey and Castle Acre castle.